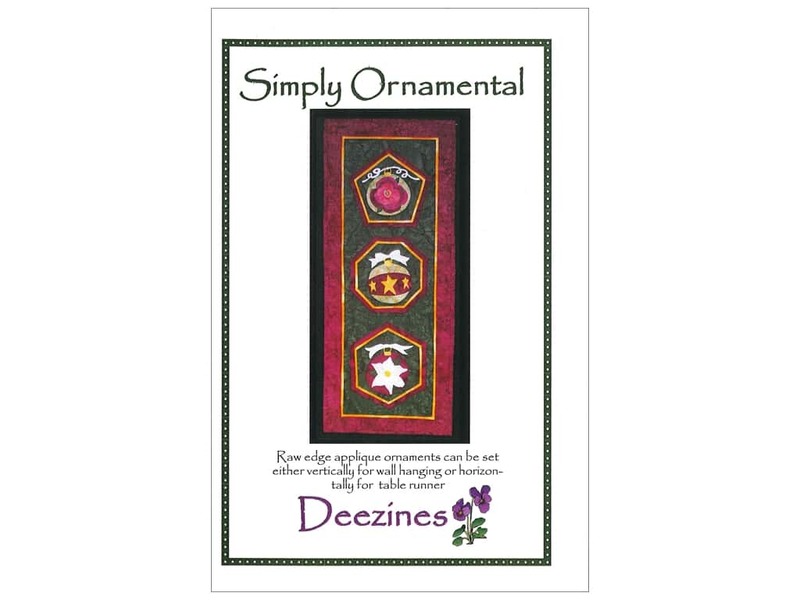 Description: Deezines Patterns Simply Ornamental Pattern. A little bit of machine sewing mixed with a lot of fusible applique will yield this cute Christmas project that can be used as a wall hanging or a table runner! Decorated Christmas ornaments are featured inside geometric frames that are centered down the length of the runner. Frame shapes include a pentagon, hexagon, and an octagon, while ornament decorations feature a rose, stars, and a poinsettia. Finished project is about 13 x 34 inch. Includes instructions and paper pattern pieces.